This Blog page expands on How Shares Helped Me Quit The Day Job and is for anyone who wishes to pay off their mortgage and give up the 9-to-5. I became mortgage-free during 2011 aged 40, and made the leap from conventional employment at the start of 2015 aged 43. I am convinced anyone with a passion for shares and the determination to retire early can take the same path. Thousands of bloggers currently write about the so-called Financial Independence Retire Early — or FIRE — movement. I provide real-life figures to explain what happened. You may be pleased to know that my story does not involve a university degree, a professional qualification or an early high-flying job. Instead, my story involves mundane matters such as redundancy, renting, commuting into London and supporting a young family. Maybe luck has played a part. That said, you do make your own luck in life. Read my story below and decide for yourself about any good fortune. I left school during 1989 aged 18 and became a Poll Tax clerk for my local authority. 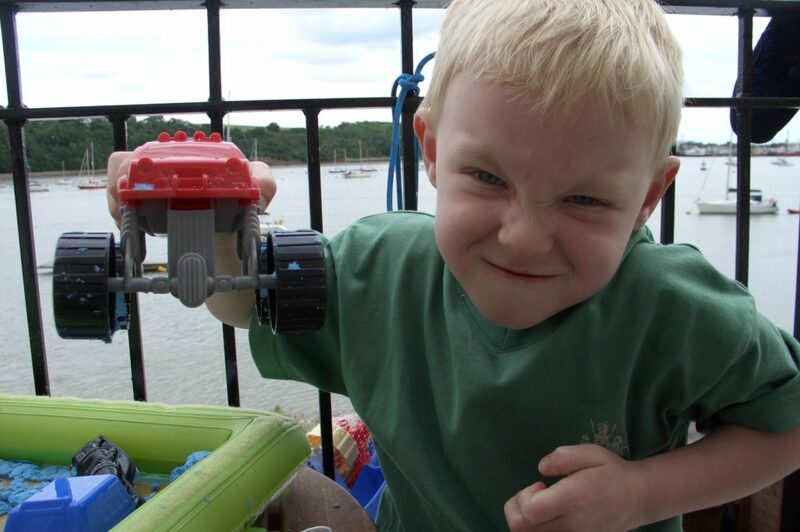 However, computing had been a hobby during my school years and I was keen to start work in IT. 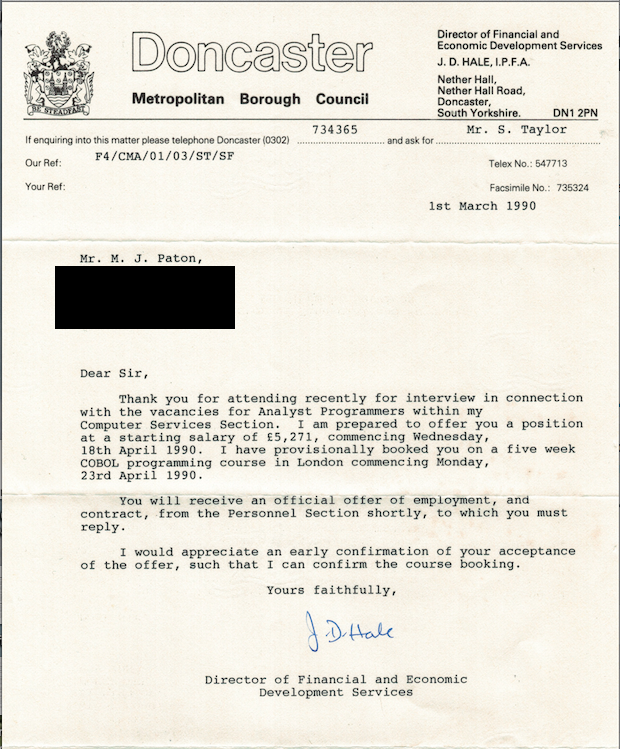 I was therefore very pleased when my career proper started in 1990 as a computer programmer with the same employer. The Colonial building has since been demolished to make way for houses (1996). I soon realised this new IT role was not working out. I therefore decided to concentrate more time on my stock-picking hobby. I had started dabbling with shares during 1993 and my plan now was to move from IT into an investing career. Analyst was much more than a tipsheet. 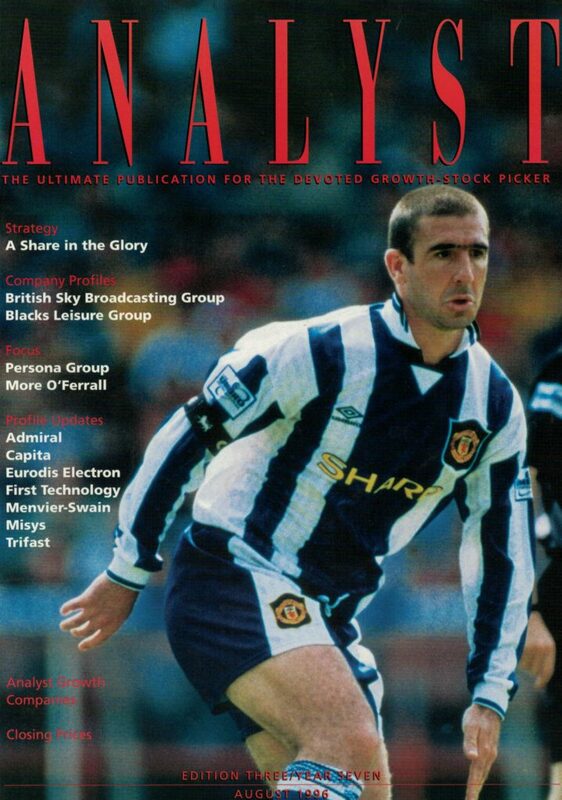 I learnt a lot from the in-depth analysis (1996). 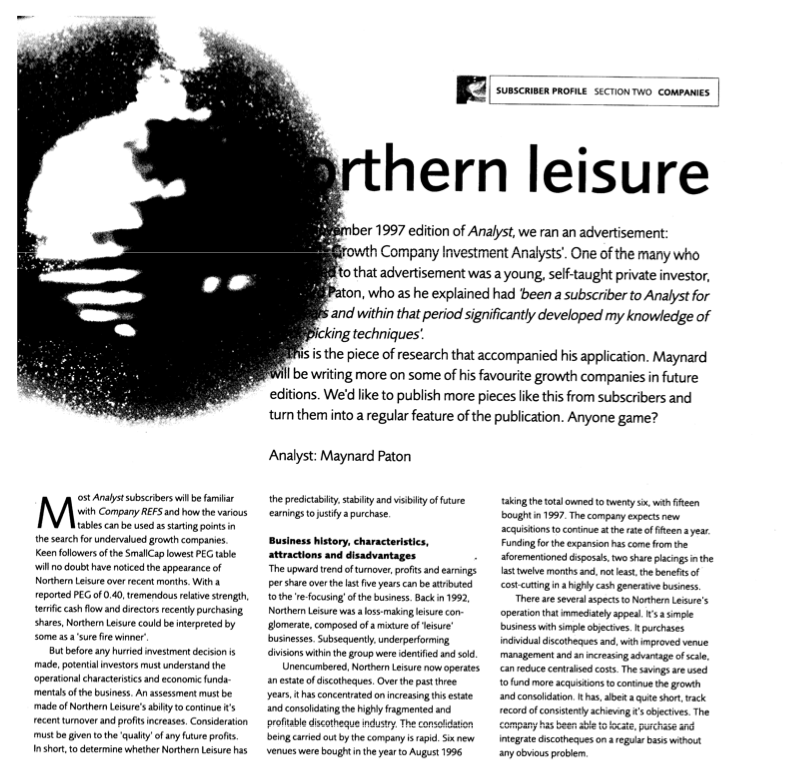 My Analyst articles on Northern Leisure, Character Group and Moss Bros can be downloaded here. However, I had already found my new investing career. 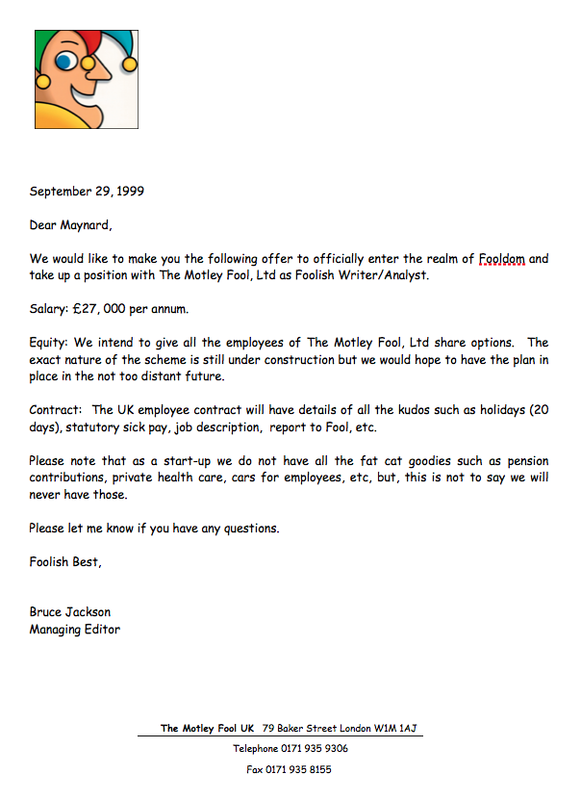 Those Analyst articles helped me secure a job at The Motley Fool UK, a financial website based in central London. 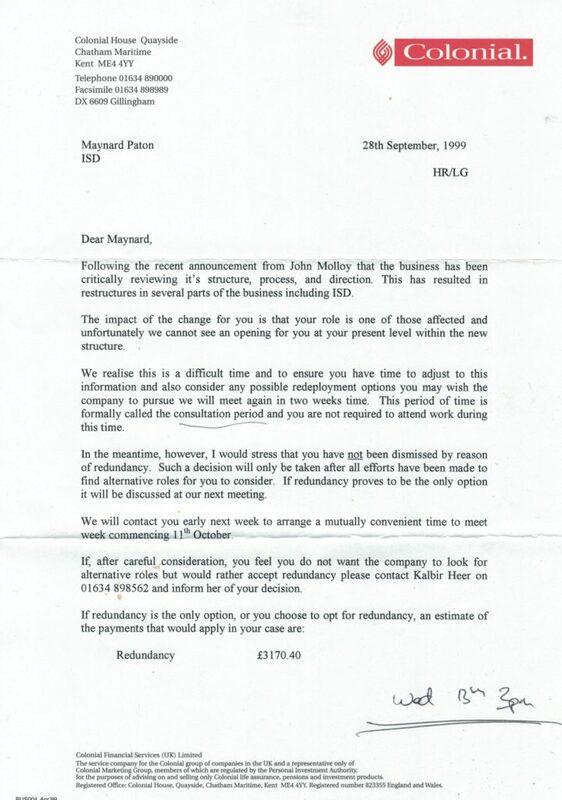 I was 28 and my salary was now £27,000. 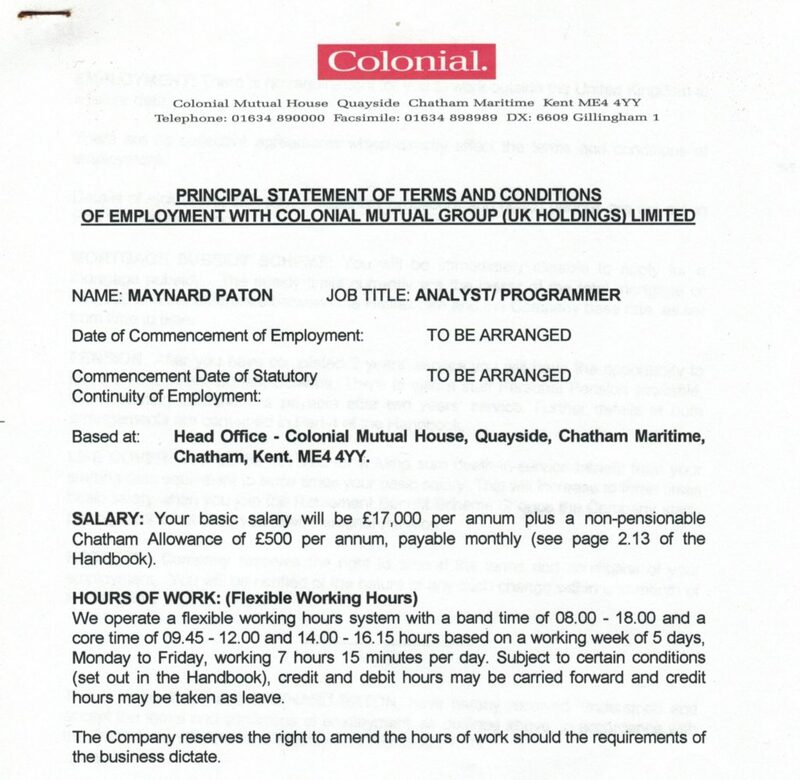 You can see I did not enjoy a vast salary during my 20s. And yet this period was perhaps the most important for my FIRE journey — although I did not know that at the time. I invested £21,000 into ISAs and PEPs between 1995 and 1999. Those contributions equated to approximately 20% of my total gross pay during those five years. I bought my first house during this period, too. 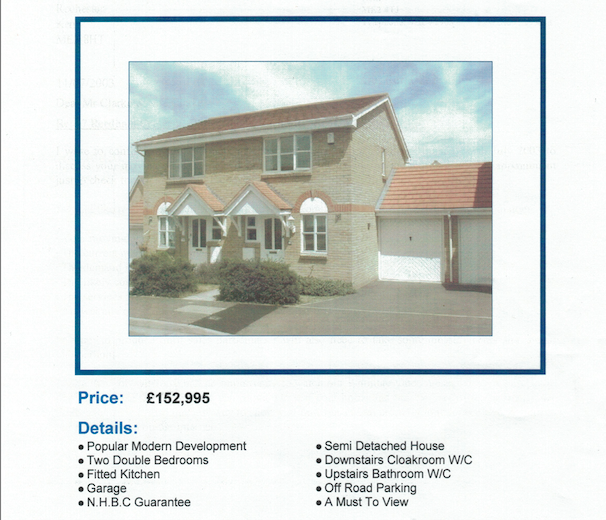 I purchased a £71,500 two-bed semi with a 10% deposit during 1998. Include saving for that deposit, and my estimated savings-to-gross-pay ratio approached 30%. The house was hardly a mansion. But I was fortunate to buy when property was relatively cheap. 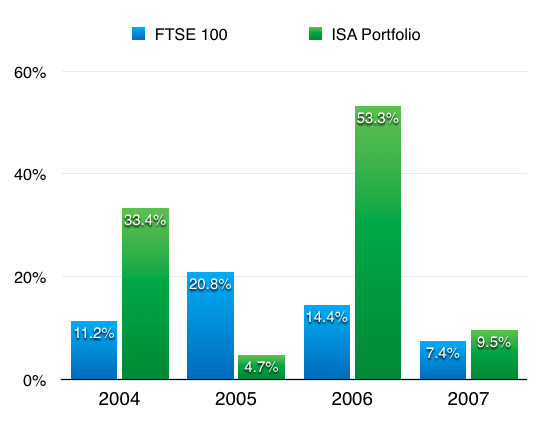 I married in 1999, and 2000, 2001 and 2002 saw me inject £39,000* into my (and my wife’s) ISA. These three years were another important period for my FIRE journey — I estimate those ISA contributions represented at least 30%** of my aggregate gross salary. 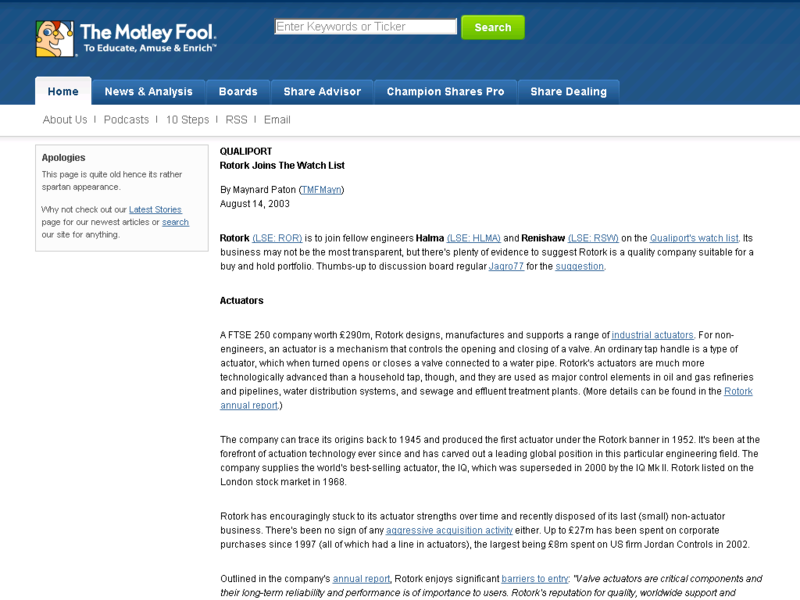 I even survived two rounds of redundancies at Motley Fool during the 2001-2002 dotcom crash. So far then, so good. But a significant change now occurred. The house sale provided a £78,000 cash profit. We decided to move into rented accommodation after the chain further up fell apart. I started proper income and expenditure record-keeping at the start of 2004. You see, my wife had stopped work to look after our young son — and the monthly rent was more than double my old mortgage payment. Bills such as council tax increased substantially as well. I had to ensure we were not spending more than I was earning, and so I tracked every penny using MS Money. Not a bad financial position for someone just about to turn 33. 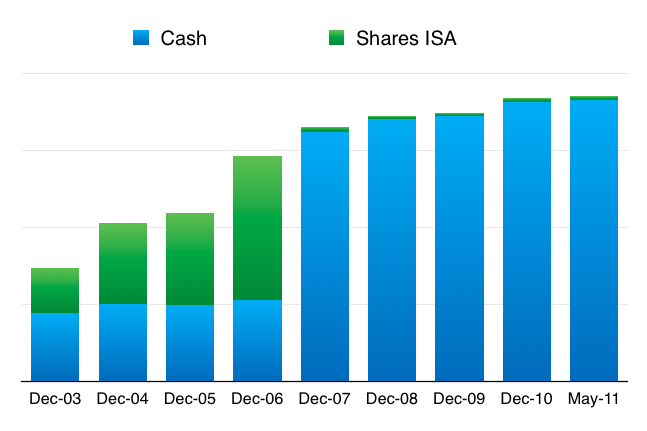 I sold almost all my ISA shares during 2007. 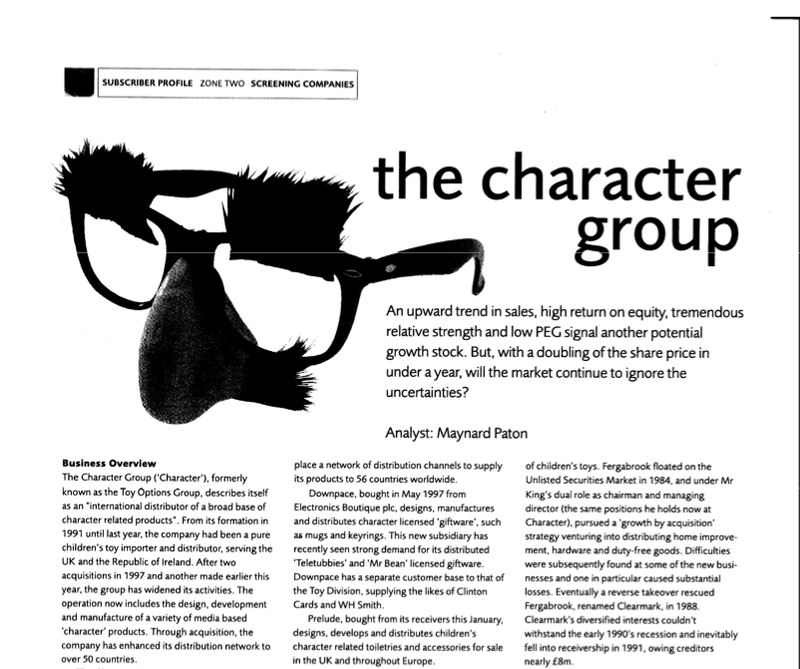 The 2004-2007 period overlapped with me managing/writing a ‘Quality Portfolio’ series of articles for Motley Fool. This ‘Qualiport’ portfolio was run on Warren Buffett-type principles and sought to invest in great companies at reasonable prices that could be held for the long term. Rotork, Halma and Renishaw have performed very well since 2003 (2003). I ran a very concentrated portfolio. The big gains came almost entirely from the London Stock Exchange. 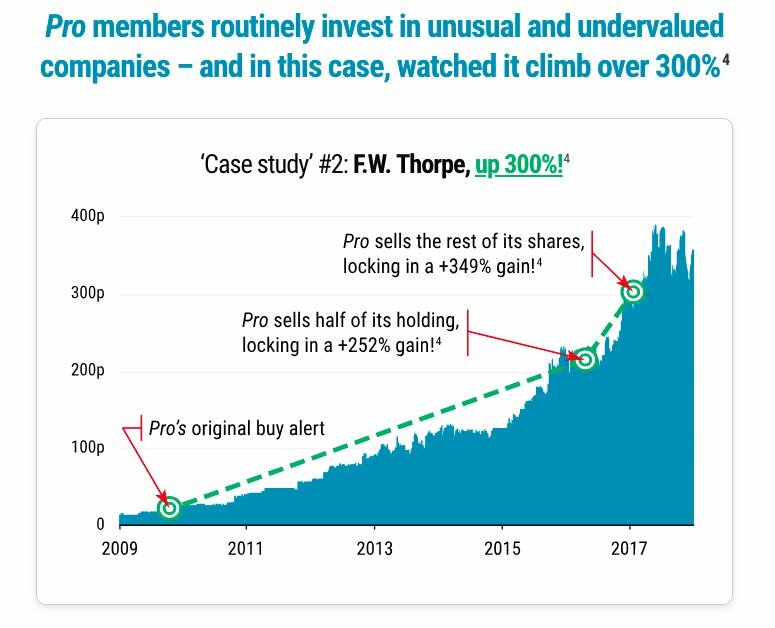 I bought LSE shares during 2004 and sold during 2006 and 2007 for an overall 297% profit. Other winners bought and sold during the same period were Associated British Ports, up 117%, and Nokia, up 146%. I bought iShares FTSE 100 during this period as well. My position as a Motley Fool share tipster meant my personal share dealings became restricted due to various regulatory reasons. I therefore decided to invest any new money in an index tracker. During 2005 and 2006, I felt house prices had become too expensive. I therefore actively decided to continue renting while awaiting a property downturn. Then came the run on Northern Rock, which told me the banking sector was in trouble and the effects on the housing market could be substantial (or at least I hoped they could be substantial). To ensure I was ready to purchase a great home at a cheap price, I sold almost all my shares during the autumn of 2007. The proceeds then left my ISAs for various high-yield savings accounts. At the start of 2008, just about every penny I owned was in cash. My ISAs were left with a few tiny holdings that I had overlooked during my selling spree. I must confess to being tempted to reinvest some of my 2007 share-sale proceeds back into the market during late 2008. However, I decided not to be too clever and instead sat on the cash for the right housing purchase. In retrospect, I was a little lucky selling my shares when I did. I never thought the stock market would collapse to the level it did during 2008/09. I finally purchased a house (outright) during 2011. I slowly realised rock-bottom interest rates were never going to create the property bargains I had previously imagined. I still had to work, but at least I owned a house without a mortgage. I was 40 years old. Around the same time as buying the new house, I gave up on my Motley Fool share-tipster duties. Both events allowed me to once again invest freely. I should add that my stock-picking approach changed between 2007 and 2011. This time around, I concentrated on smaller companies where owner-management, cash-rich balance sheets and lowly valuations appeared to offer decent upside with lower risk. 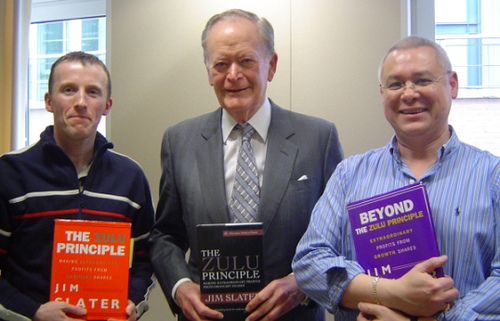 During my years as a share tipster, I discovered many companies that exhibited such traits went on to perform quite well for my subscribers. In addition, there were many more of these small-cap opportunities to study than Buffett-type stocks such as the London Stock Exchange. After a rocky investing comeback during 2011 (when all of my shares lost money! ), a fabulous 129% total return from Record carried my portfolio during 2012. I then enjoyed a broad spread of winners during 2013, while City of London Investment, French Connection and Tristel ensured a very satisfactory 2014. How did I know when my investments could allow me to quit the day job? I needed ‘only’ a 6.8% annual ISA return to pay my (then) living expenses. 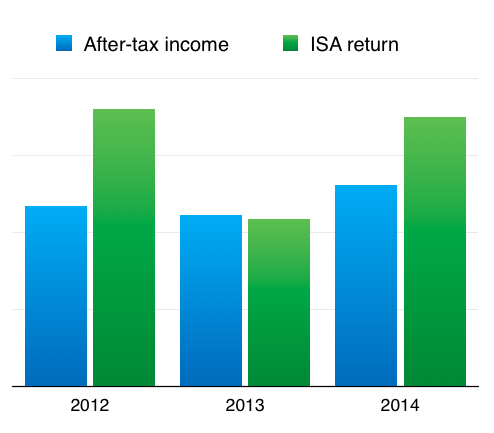 In light of my 2012-to-2014 ISA performance, I made the FIRE leap and gave up the 9-to-5 at the start of 2015. I was 43 years old. I made a last-minute decision to sell 17% of my ISA shares to ensure I had three years’ worth of living expenses on hand in cash. That way, I thought I could ride out any market downturn and not have to sell at low points to fund my expenses. The decision meant I now had to earn 8.2% a year from my capital. I said to my wife that I would re-assess my early-retirement plan after three years. If my ISA returns were not sufficient, I would ditch this Blog and seek employment at the local Tesco. (For context, Warren Buffett is quoted in the book The Snowball: “I had about $174,000 and I was going to retire. I rented a house… for $175 a month. We’d live on $12,000 a year. My capital would grow.” He was 26 and required a 6.9% annual return). Between 2015 and 2018, my ISA’s compound average growth rate has been 9.4%. But the returns as a full-time investor have not been as great as I had expected. Thinking too much about locking-in profits to fund my living expenses. Investment (websites, travel, subscriptions, and so on). Plus every so often, I am faced with an unexpected large cost (for example, a new boiler). I have also enjoyed more time to think about cutting my wider expenditure. For instance, my supermarket spending has reduced by £1,000 a year since giving up full-time work. No more expensive packaged meals for a time-pressed father, and much more fresh food and my cooking for the family. All told, my living expenses have reduced by between 10% and 15% after leaving full-time employment. 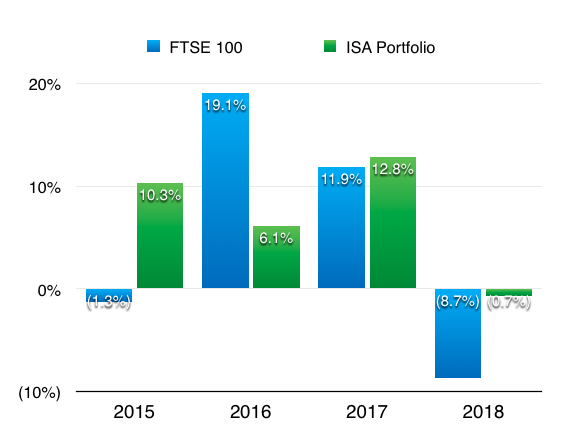 Following my portfolio gains and lower expenditure, at the start of 2019 I required a 5.6% annual ISA return to cover my living costs. Helping to cover my expenses from September 2018 has been my side-income from SharePad. My decision to become a SharePad contributor was not difficult. I had used the investment software since 2015 and considered it to be an exceptional service for private investors. I also rated the educational and analytical articles that SharePad had published. I thought the SharePad income could assist my investment returns. For one thing, I would not have to think as much about withdrawing capital to fund my living expenses. Up until writing for SharePad, I had received no freelance or employment income since leaving Motley Fool. 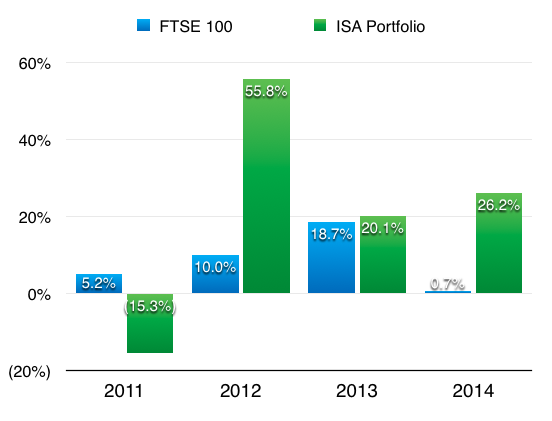 Factor in SharePad, and at the start of 2019 I required an approximate 3% annual ISA return to cover my living expenses — and my projected ISA dividend income for the year was 3.4%. I therefore currently live off my ISA dividends combined with my SharePad income, with enough cash on hand outside of my ISA to fund my living expenses for 2019, 2020 and 2021. I must admit, this position feels more comfortable than my original 2015 plan. Let me track back to the start of 2004. 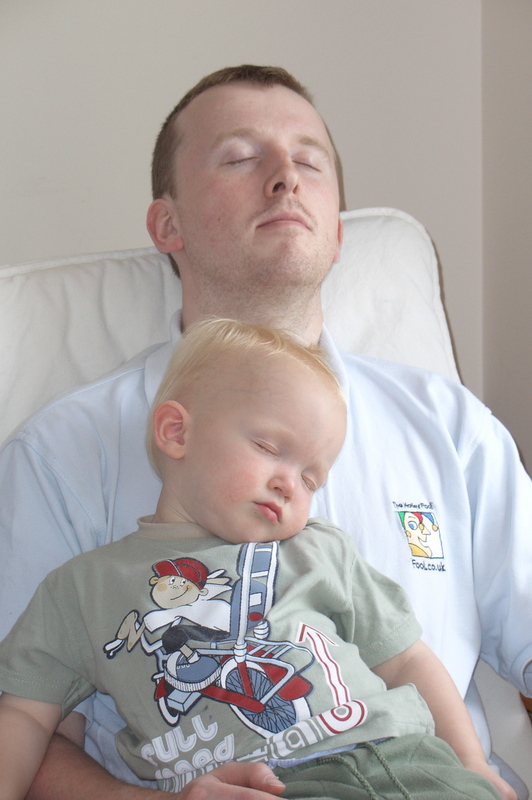 I was renting a more expensive house, my wife had stopped work and we now had a six-month old son. Needless to say, my savings rate plummeted. 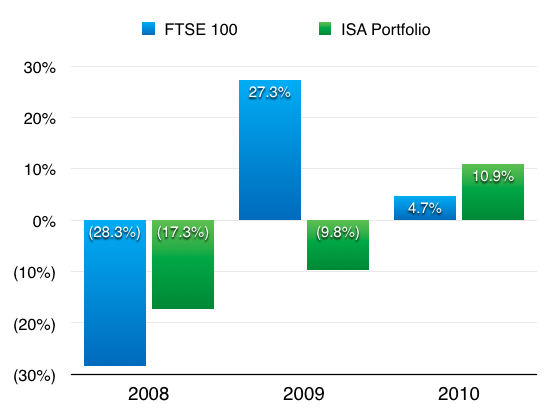 As I have mentioned, I had been socking away 30% into ISAs prior to 2004. And note: the above 2004-2014 stats involve natural frugality that included (among other things) taking a packed lunch into work every day. The lesson is obvious: anyone thinking about retiring early really has to save lots and invest well before starting a family. Once you become a parent, move to a larger house and your parter (perhaps) gives up work… the savings become much harder to make. My wife is not rich. Between 2003 and late 2018, she either did not work or worked part-time on a wage that rarely troubled HMRC. She pays for holidays and miscellaneous family items. Could you repeat my savings rate and investment returns, and make the FIRE leap for yourself? One thing is for certain. If you never try, you will never find out. Looking back, my story can be summarised in ten points. 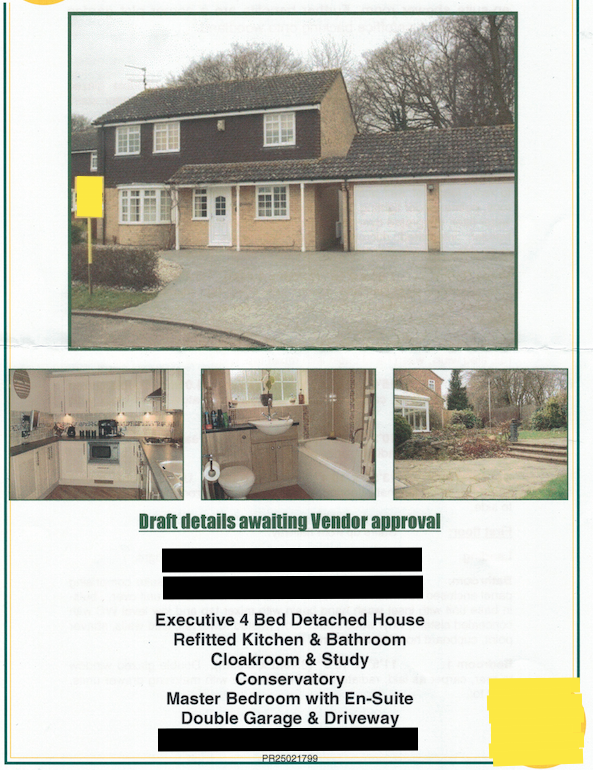 Make a very bold move to sell (almost) everything based on a property judgement. On the downside, I spent several years as a share tipster during which time I held mostly cash or a tracker. Neither are conducive to exceptional long-term returns. And while I escaped the 2008 stock-market carnage, I also missed re-investing during the 2009 lows. I hope you found my story informative. Maybe you can join me one day, and spend your 9-to-5 reading and writing about shares as well. Recording your exact income and expenditure must be your first step. I use MS Money, which is great at handling my downloadable credit-card statements. 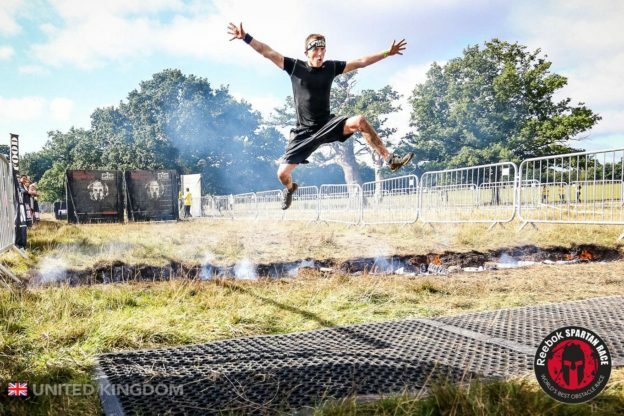 You will almost certainly under-estimate your total expenditure. And you will be shocked at the amount you spend each year on certain items or within certain shops. Use that information to cut out all unnecessary expenses. Then assess how much you need to live on and then how large your ISA pot must become. Becoming mortgage-free and retiring early does not involve any great secret. Please let me know how you get on in the Comment box below. Disclosure: Maynard owns shares in City of London Investment, Getech, M Winkworth, Tasty and Tristel. Thank you for an interesting and motivating blog. I became mortgage free about the same age as you but did not retire until I was about 55. The reason is straightforward: although I was working hard and saving lots, I didn’t know how to invest. I have been following Motley Fool for about 15 years and now your blog too, and, despite starting so much later, am able to enjoy the FI if not the RE of FIRE. Thank you again for being so open and educational in your blog. Thanks for the comment. I am glad you find my blog useful. I am super-impressed you became mortgage free without knowing how to invest! Well done. Great story…. let us know when you feel it’s time to turn investments to cash again, that was a great move to avoid the 2008 crash. I will let you know when the time has come to consider cashing up. I have to admit, such extreme times do not come around that often, they can be very stressful, and repeating the trick may not be easy. I am quite happy having made such a call just the once. Thank you Maynard, interesting to read your story and appreciate your blog. Like you I hold CLIG and M WINK. I have a high yield income strategy as I feel it is more easier to cover its expenses with a dividend cash-flow rather than selling shares. After I will reach FIRE I will consolidate my financial fortress with blue-chip companies, the yield becoming less important. Thanks Eric. I think I may be turning into a higher-income investor. Good luck with your FIRE portfolio. Thanks for sharing your story, which was interesting to read about. Perhaps it reflects your risk tolerance, but in a low interest rate environment such as currently, do you think it makes sense to not have a mortgage? I.e. if you can borrow a decent amount at say 2% interest rate, and expect to earn significantly more than that from investing, why not? I am somewhat younger, and currently have a significant mortgage set up as interest only, along with a decent investment portfolio. If interest rates stay where they are, I’m not inclined to try to reduce the mortgage outstanding any time soon. Provided investment returns are good, then this approach should lead to a much better result long term, than if all the investments were sold to pay down mortgage debt. Obviously if the investing goes badly, I will still have to deal with the mortgage. Your strategy would seem sensible assuming you are in full-time work, have the prospect of greater career earnings ahead and are a reasonable investor. Indeed, the mortgage I had (for 5-6 years) was interest-only and my returns beat the payable rate. But at the time I was in full-time work and had the prospect of greater career earnings ahead, so if my portfolio went wrong I could earn back what I lost. Paying off the mortgage gives you lifestyle flexibility over ‘geared’ financial returns. In time you may find you do not want to work full-time. At least that’s what happened to me.